Young Israel of West Hartford is a warm, diverse and vibrant Centrist Orthodox community that spans the generations--connecting babies to bubbies. We are proud to be an integral part of the Greater Hartford Jewish community. 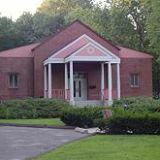 Founded in 1968, the Young Israel of West Hartford aspires to inspire personal growth and social responsibility. We strive to care for one another and foster a sense of belonging that attracts and values all who make this place their home. We seek create a nurturing atmosphere that promotes growth in Torah, Avodah (Prayer), Gmilut Chasadim (Loving Kindness) and instills a connection to our homeland, the State of Israel. More than just a synagogue, the Young Israel of West Hartford is a warm and loving community that seeks to embrace, care for and inspire all of its members! Our beautiful city of West Hartford is located less than two hours from New York and Boston. We offer a warm "small town" feel with all the amenities of a big city. West Hartford is a wonderful place to raise kids, with lots of parks and activities for families. We boast of the country's leading children's museums, a science museum, art museums, theaters, amusements parks, skiing, and more. We are home to fine universities and three major hospitals. Many employment opportunities are available in the area and we would be happy to provide an employment professional to assist in a job search. Please feel free to reach out to Esther Glahn, our membership chair, to learn more about our community and shul. We would be delighted to host you for a visit as our guests. .....and dont forget to check out our facebook page! Also check out these photos of our community in action! Young Israel raises over $3,300 in donations in response to terrible fires in Israel. Rabbi Tuvia Brander of Young Israel of West Hartford commented, “At moments like these, it is incumbent upon us to come together as a community to take action and show our support for our brothers and sisters in Israel.” This project continues to build on one of Young Israel of West Hartford’s core mission goals — to promote and strengthen our connection to the people of Israel, the land of Israel and the State of Israel.